CUALA have a chance to win back-to-back All-Irelands after a 1-17 to 0-10 victory over Liam Mellows in Thurles tonight, featuring another tour de force from Con O'Callaghan. O'Callaghan scored four points - three of his first four touches and won a free with his fifth. Mostly, Liam Mellows – somewhat surprise Galway champions last year – were confined to scores from frees in the first half. Cuala meanwhile, were largely shackled during that period, save for the odd flourish from David Treacy and O'Callaghan's supreme ball-winning. Their regular goal threats; O'Callaghan and Colm Cronin, were stopped at source by Liam Mellows' densely populated defence. 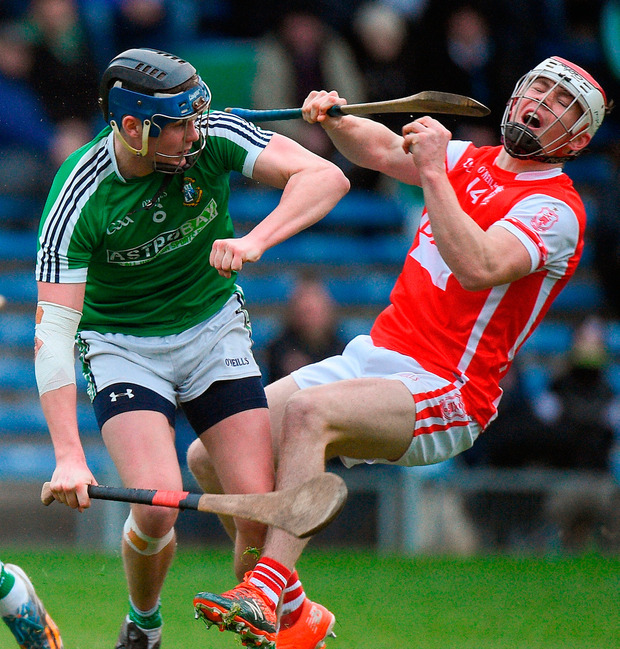 Treacy's early touches were many and influential but it was the physicality of Cuala's defence that impressed most. Beforehand, captain Paul Schutte was replaced in the starting team by his brother, Mark, who missed all of Cuala's Leinster club campaign with a foot injury. It forced a reshuffle, with Darragh O'Connell switching from his regular midfield spot to wing-back and largely, it worked. Yet at 0-8 to 0-6, Cuala didn't have any level of comfort. They exploded into the second half though, scoring the first five points of the period, a run that would ultimately win them the game. O'Connell stretched his legs for the first time when he went haring through from the throw-in, although his batted shot for goal erred on the high side. Treacy added three more points in that stretch of supremacy – two frees – while O'Callaghan's threat was such that Mellows were disinclined to leave any less than two men on him. At 0-13 to 0-6 after just seven minutes of the second half, Cuala merely had to stop any goal threat to make sure their spot in St. Patrick's Day. And with Moran, O'Connell and Cian O'Callaghan hugely prominent at the back, Mellows never really got a sniff. Cuala had a couple themselves, with Mark Schutte and Cronin both going close. They led by six going into the final straight but point from substitute Niall Carty and a goal from Brian Fitzgerald – another sub – put the final touches on a gritty performance and yet another win for the reigning All-Ireland champions. SCORERS – Cuala: D Treacy 0-7 (4f, 1 ’65), Con O'Callaghan 0-4, B Fitzgerald 1-0, M Schutte, D O'Connell, S Treacy, C Sheanon, N Kenny, N Carty 0-1 each. Liam Mellows: A Morrissey 0-7 (7f), A Callanan 0-2, C Kavanagh, T Haran (f) 0-1 each.